A rough, tough cough: Was it, or wasn't it, the whooping kind? 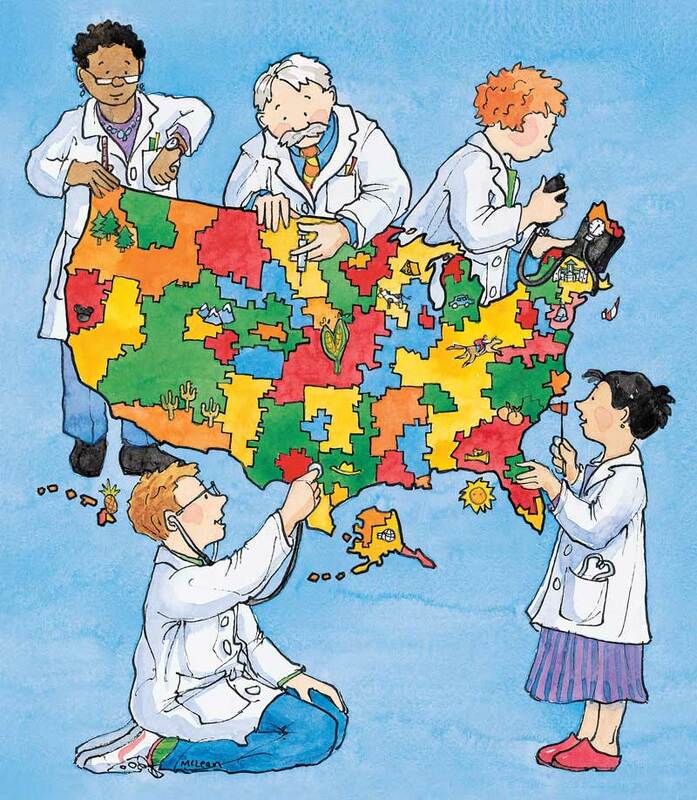 "The State of the Nation's Health"
The U.S. spends more on health care than any other nation. Does that money buy what it should? Not according to Dartmouth research on regional variations in spending and outcomes. But policy-makers are now paying attention to the DMS work—and therein may lie a solution to the money-medicine puzzle. "The Other Side of the Stethoscope"
Physicians, for all their knowledge about health, sometimes fall prey to serious illness and injury—and find themselves on the receiving end of the stethoscope. Or individuals with experience as a patient sometimes decide to enter medicine—and become the person wielding the stethoscope. In either case, their patients often benefit. By Parker A. Towle, M.D. A Dartmouth physician who is also a much-published poet recently had his work featured on National Public Radio's Writer's Almanac. Medical decisions are often far from clear-cut. A DMS graduate writes about an elderly patient who was rushed to the hospital after a stroke. He had to decide whether a powerful drug would save her life . . . or kill her.